Festive cheer will be in short supply for anyone who endures Nativity 2: Danger In The Manger!, a shambolic family offering that grates from start to finish. 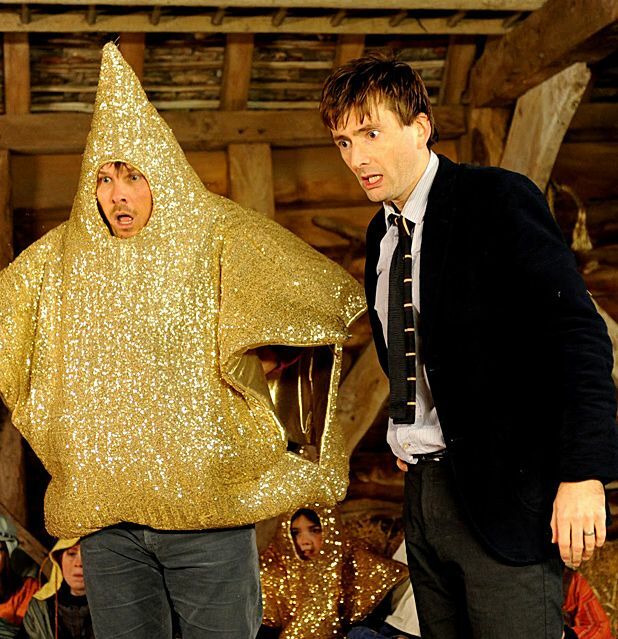 Written and directed, like the original, by Debbie Isitt, the film sees David Tennant stepping into the classroom vacated by Martin Freeman as amiable teacher, Mr Peterson, who is coerced into taking his new charges to a Song For Christmas talent competition in Wales by juvenile classroom assistant Mr Poppy (Marc Wootton). The ensuing farce sees them getting lost in the forests and mountains of Wales and Mr Peterson eventually having to confront his more successful twin brother Roderick (Tennant again), who has brought his own choir to compete. As both writer and director, Isitt gets most of the blame for consistently failing to keep things in order. The film is largely improvised and feels every bit like something that's desperately in need of structure. Wootton's fantastically annoying Mr Poppy, in particular, could do with being reined in, while the amateur kids are often as precocious as they are endearing.The various plot contrivances, including seasonal religious metaphors that evoke the story of Mary and Joseph, are poorly handled and even tacky, while the innumerable Christmas songs, coupled with the incessant screaming of kids and adults alike, are liable to leave you with a headache. Tennant deserves some credit for at least giving his Mr Peterson some kind of arc and more emotional range than the film deserves, while Jessica Hynes crops up as a prima donna talent show host with some nicely barbed lines. But Joanna Page (as Tennant's pregnant wife) and Pam Ferris (as the school headteacher) are given next to nothing to do. By the time the film grinds to its ridiculous conclusion, you'll be praying for it to end. Tennant takes over starring duties from Martin Freeman in this sequel to the 2009 British festive hit.